Picasso had his blue period. I did muffins. Before bundts, I was all about the muffins. No, actual muffins. I made them in batches of at least 36, generally meaning my colleagues were being force fed these bulbous baked goods at least once a week. Then I discovered bundts. Hallelujah. A couple of years ago our department held a mince pie bake off. For the previous five years, I had made mince pies using the same recipe. Orange pastry topped with stars and cinnamon sugar. I was well bored of that malarky! Plus, I detest mince pies. For the competition I tried a recipe from a well known cookery book without a test run. It was rubbish! The pastry went hard without colouring and the texture was something similar to an old boot. Why did I stray from my trusted recipe? Goon. I decided to get a little creative with the brief. This was a mince pie bake off. No-one said it had to include pastry... The devil is in the detail! Mince pie muffins were born. After all, I had at least ten tonnes of luxury mincemeat to use up! These can be made in a mixer, but it always find it better to do muffins by hand as there is very little mixing required - just a big bowl. Sift together all the dry ingredients into a big bowl, including the sultanas. In a large jug, mix together all the wet ingredients, including the mincemeat. Tip the wet ingredients into the dry and fold until just combined. You will see a little flour that is not totally incorporated. This is good! Divide the mixture between the twelve cases, ensuring they are no more than 3/4 full. Bake in the centre of the oven for 20 minutes or until golden brown and well risen. When they are fully cool, dredge with icing sugar mixed with cinnamon or mist with edible gold spray (see above). TIP: the best muffins are made using this wet into dry method. They are very different from cupcakes - beating the mix will result in dry muffins. Only two of us entered in the end. My friend Matt and I got a certificate each. 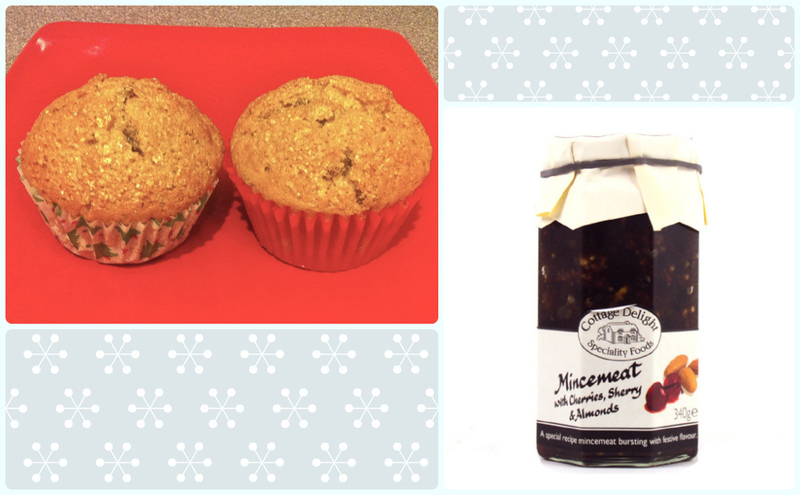 He won Mince Pies of Excellence, and I won Muffins of Excellence. Can't argue with that can you?! I have to try these. The only variations I have ever done with mincemeat other than making mince pies is to do a mincemeat and apple crumble. I am so tempted to go out and buy a jar of mincemeat right now even though it's still November!